One of the universal difficulties in dieting is maintaining a nutritional balance while you eliminate unhealthy foods. Low-fat diets tend to leave you with a hungry feeling all day. Low-carbohydrate diets can lead to brain fog and lethargy. 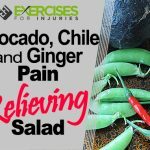 Eating salads all day is not only boring, but it may not prove to be as healthy as eating a more balanced variety of food. That’s where the macronutrient diet comes into play. Generally speaking, macronutrients are substances an organism needs, in large amounts, for normal growth and development. In humans, those essential nutrients are proteins, fats, carbohydrates and water. Macronutrients are set apart from vitamins and minerals because the human body doesn’t need large amounts of those nutrients. Appropriately, vitamins and minerals are actually classified as micronutrients in the human diet. The three energy-producing macronutrients are proteins, fats and carbohydrates. Each food will fall into one of those three categories. 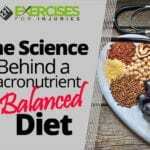 What Is the Philosophy Behind a Macronutrient Diet? 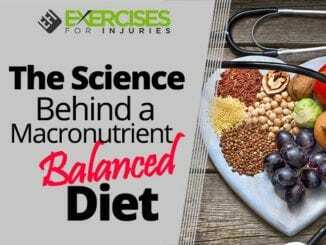 In a nutshell, the macronutrient diet is about balance. The philosophy is that the body needs all three macronutrients — protein, fat and carbohydrates — to perform optimally. The recommended percentages of each macronutrient will vary, based on your particular dietary goals. If you remove one of these essential macronutrients from the diet entirely, your body may not function properly. Let’s take fat as an example. If you decide on a green salad with apple slices for dinner, and there’s no fat in the dish at all, your body will not be able to absorb the wonderful fat-soluble vitamins A and E that are present in the salad. 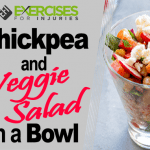 Make one simple change by topping your salad with diced chicken and an olive oil and vinegar dressing, and you’ve got an excellent macronutrient complete meal. Your body will absorb the fat-soluble nutrients rapidly, and you’ll be satiated for several hours afterward. Then, there are carbohydrates. One highly popular and very quick way to lose weight is to eliminate carbohydrates from the diet. I recall working at a natural grocery store in 2003 when the low-carb diet took over Hollywood and people from coast to coast were condemning potatoes and declaring war on pasta. Customers would literally come in confused and jittery as they were shopping for their meat and cheese. They had eliminated all carbohydrates from their diets, and they were not thinking clearly. That’s because carbohydrates serve an extremely important role in brain functioning. Carbohydrates, in the form of glucose, represent the main energy source for the human brain and body. When the brain doesn’t get enough glucose, cognitive functions decline. Learning, thinking and memory are diminished without food for the brain. Protein is the other essential macronutrient. Thankfully, it isn’t currently in vogue to give up protein, which is a very good thing. Considering that our human organs, muscles and tissues are all made up of protein, it’s imperative that we keep that macronutrient in our diets. The human body uses protein to maintain blood sugar levels, heal wounds, metabolize foods and fight bacteria. Consuming inadequate amounts of protein can result in bone and joint pain, a weakened immune system and mood swings, among other complications. How Much of Each Macronutrient Is Recommended? The exact ratio of recommended macronutrients will vary based on your dietary goals. If the goal is to bulk up and gain muscle, you’ll want to take your total, daily caloric intake and divide it into percentages. Most bodybuilders recommend that 50 percent of your total calories come from high-quality carbohydrates, 20 percent from fat and 30 percent from protein. 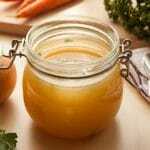 Conversely, if your goal is to lose weight, most people drop the carbohydrate portion to around 20 percent of their calories with 40 percent from fats and 40 percent from protein. For weight maintenance, 40 percent carbohydrates, 30 percent fat and 30 percent protein works well. The ratios are relative to your body type, activity level and metabolism. There isn’t a hard and fast ratio that works for everyone. So, it’s crucial to evaluate your energy level, waistline and sleep habits to determine your particular macronutrient sweet spot. If you have no desire to calculate percentages, another option is to portion out your plate. With this method, half of your plate should be made up of vegetables, one quarter protein and the remaining quarter should consist of high-quality carbohydrates. Similarly, you will have to adjust those plate portions according to your body’s particular needs. What Are Some Meal Suggestions in Line with Macronutrient Diet? 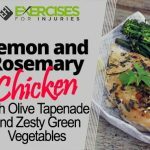 Sticking to any diet plan is easier when you’ve got a few “go-to” recipes for weeknight dinners. It’s nice to have a list of snack ideas and breakfast suggestions that will go along with the plan. We’ve come up with several original recipes that are well-balanced and macronutrient-rich. Here are a few ideas for macronutrient diet success. Cook oatmeal ingredients on the stovetop over medium-high heat until it’s bubbling, then reduce the heat to a simmer until it reaches the desired consistency. Top the oatmeal with nut or seed butter, fresh or frozen berries and optional chia seeds. Heat oil in a large cast-iron skillet over medium heat. Put the sliced zucchini, carrots and halved baby potatoes into the skillet. Cover for a couple of minutes to allow the carrots and potatoes to soften. When the zucchini begins to brown a bit, flip all the vegetables with a spatula, add the mushroom slices and season everything together. Cook it for a few more minutes. Add in some harissa if you like a little spice. Heat oil in a large cast-iron skillet, over medium heat. Put the potatoes, onion and bell pepper into the pan. Cook a few minutes, until the potatoes are softened. Then, add in the spinach, tomatoes and parsley. Scramble the eggs and pour into the pan with the cooked vegetables. Season with salt and black pepper. Drain the tuna and add to a medium-sized bowl. Add the mayonnaise a tablespoon at a time to taste. Add about a teaspoon of mustard and 1/2 teaspoon of Sriracha. Then, add the diced celery and pickle relish. Stir and set aside. Cover a medium-sized plate with organic salad greens. Then, slice the large cucumber and carrot at a slant, to create long, 1/2-inch thick slices. Arrange the cucumber and carrot slices on the plate and top each slice with about 1 tablespoon of the tuna salad mixture. Put a halved grape tomato on top of each one. Serve organic strawberries on the side. Toss all the ingredients together in a large bowl and enjoy. Scramble and cook the egg, set it aside. Heat oil over medium heat and add in the ginger, garlic and all of the vegetables except the green onions. Cook the veggies a few minutes while stirring until they are cooked through. Add the chicken, egg and rice. Stir to combine everything. Add the green onions, soy sauce and sesame oil and combine. Top with a sprinkle of sesame seeds and serve. Mix the balsamic vinegar, water, lemon juice and honey in a small bowl and set aside. Toss the chopped potatoes with 2 tablespoons oil, rosemary, salt and black pepper. Then, spread them in a pan and cook in the oven at 375 degrees Fahrenheit until browned. While the potatoes are cooking, heat 1 tablespoon oil over medium-high heat, in a cast-iron skillet. Do not let the oil get so hot that it is smoking. Add the salmon fillet to the pan, skin side up. Sear until it’s browned, about 3 to 5 minutes. Flip the salmon over and sear until cooked through. While the salmon is cooking, pan-fry or steam the asparagus and season with salt and black pepper. After the fish is cooked through, place it on your serving plate. Pour the balsamic mixture into the hot pan and let it bubble up into a glaze. Spoon the glaze over the fish and serve with the roasted potatoes and asparagus. Halve a peeled banana, lengthwise and spread each half with nut or seed butter of your choice. Sprinkle with chia seeds. Slice apples and spread nut or seed butter on each slice. Sprinkle with ground cinnamon. Combine all the ingredients in a blender to make an extremely delicious chocolate shake that serves two. The macronutrient diet is pretty simple to incorporate into your life. It’s just important to keep balance in mind. While you’re planning meals and snacks, be sure to include all three macronutrients. That can be as simple as adding a tablespoon of coconut oil into your morning smoothie, eating a serving of berries with your cottage cheese or topping your favorite salad with nuts and seeds. 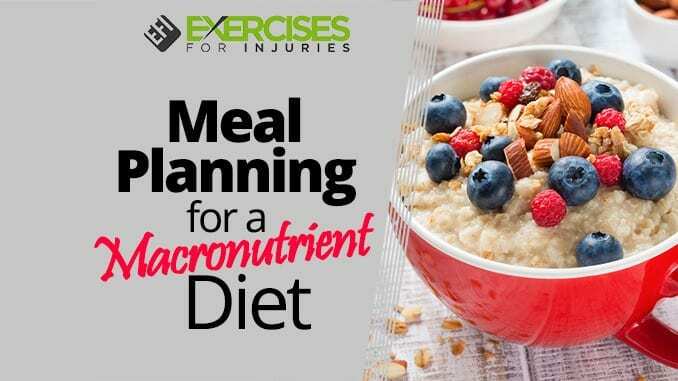 Whether you are calculating your ratios every day and keeping a log or just aiming to balance out your current diet, you can certainly boost your nutrition with a macronutrient approach. 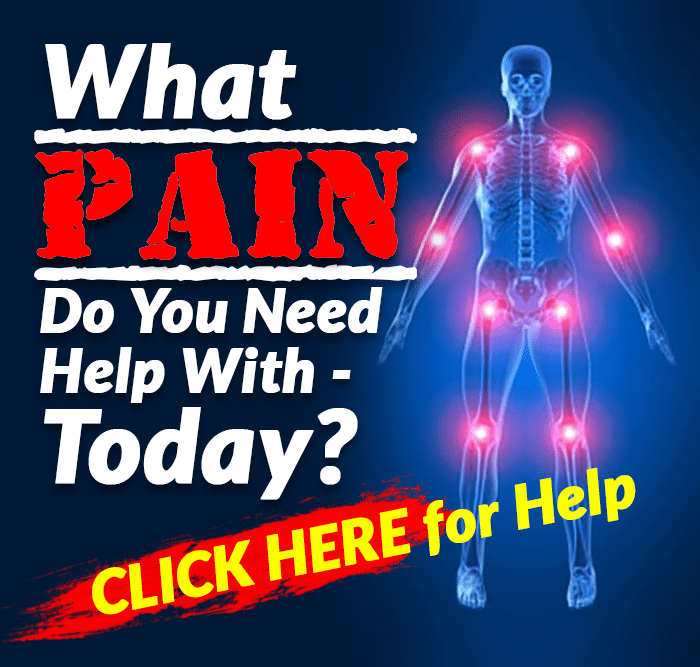 If you want to know what foods will help you shape up and shed inches while providing natural cure to illnesses, then check out the Best Foods That Rapidly Slim & Heal in 7 Days program.